The British Virgin Islands (BVI) are at an important crossroads. Residents, businesses, academic institutions, church groups, and the government recognize that the decisions and investments they make today will have an impact on the economy, environment, and social and cultural fabric of the BVI for generations to come. Green VI is a not-for-profit organization that has been at the forefront of efforts by local environmental groups to promote a greener, cleaner and healthier British Virgin Islands. With a commitment to offering educative and capacity-building programs, Green VI works to facilitate a transition toward sustainability throughout the BVI community. Ziptrek Ecotours uses the setting of the breathtaking coastal temperate rainforest to blend outdoor adventure with an enlightening ecology-based curriculum. 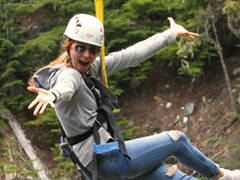 Nestled between the stunning Whistler and Blackcomb mountains, Ziptrek provides guests with an inspiring and exhilerating journey along suspension bridges, observation platforms, and, of course, tree-top ziplines. Aerospace manufacturer Pratt & Whitney Canada (P&WC) wanted to explore how building on existing sustainability initiatives, toward a proactive approach to sustainability, could help capture additional market share and drive innovation for the company. In 2010, the City of Edmonton’s Ecological Footprint was 3.2 times greater than the world average. The leaders of the City saw this as a major issue and knew it needed to be addressed in The Way We Green, the City of Edmonton’s environmental strategic plan. In developing The Way We Green, city staff sought the advice of The Natural Step Canada to help them refine the plan. 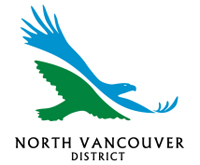 By the early 2000s, the District of North Vancouver had initiated a number of projects in response to residents’ concerns about sustainability. However, with the creation of a bold vision in 2005 ‘to be among the most sustainable communities in the world by 2020’, the District began to realize that it needed to approach sustainability in a more holistic, systematic and robust way in its own operations. The sustainability challenge, and most notably climate change, clearly presents a fundamental risk and opportunity for the insurance industry. In 2006, The Co-operators officially acknowledged these risks to their business and recognized an opportunity to play a crucial role in society’s transition to a sustainable future. In the fall of 2009, Williams Lake, B.C. launched Imagine Our Future, an initiative to develop a long-term vision of a sustainable Williams Lake. Needing support to create something bold and highly engaging of citizens, they sought out organizations to help them develop the plan. In 1998, Nike approached The Natural Step to help the company apply the principles of sustainability to its business operations. Over the following decade, Nike made considerable progress on a number of fronts, such as addressing labour compliance issues in their supply chain, reducing emissions, and eliminating toxic materials from their products. However, by 2008 a sentiment was building among the leaders of the company that these efforts were mostly about reducing negative impacts of their business and, as such, were backward rather than forward looking. To better align its efforts with the Nike culture, the company needed an aspirational goal to drive innovation efforts and align the ongoing work into a single forward-looking direction. Based in Edmonton, the Landmark Group of Builders initiated ‘green building’ programs in 2006, but quickly realized that a strategic business advantage existed in scaling its sustainability efforts up to an organizational level and establishing themselves as the sustainability leaders in their sector. ISL Engineering and Land Services’ journey toward sustainability began from a sense of responsibility – as a company, as individuals and as professionals. In January 2007, sustainability found a place on ISL’s agenda as the company struck an internal Sustainability Committee and began work on operations-related activities and programs. The success of these initiatives and a desire to challenge the status quo impelled ISL to explore the strategic business advantage in developing in-house sustainability capacity and embedding sustainability into the culture and services of the company.